The Southeast Kentucky Revitalization Project or SEKYRP is a three-year workforce development project funded by the Appalachian Regional Commission. SEKYRP is focused on training individuals in the areas of construction, design, and hospitality. Our project area includes Knox, Bell, Harlan, Letcher, and Perry County in Southeast Kentucky. SEKYRP aims to make our employees more skilled, our communities more livable, and our region more desirable for outside investment. The Community Spark Events developed out of the Community Engagement Project directed by Carrie Billett in the summer of 2017. Spark events are a mixture of good food, local music, and community discussion about public art projects. These events are held in Harlan and Tri Cities every month. We hope to have mural designs ready to implement by the Spring/Summer of 2018. Over 250 community members were interviewed during the summer of 2017 as part of a county-wide engagement process. The project was led by Carrie Billett and supported by Harlan Community Foundation, COAP, and the Appalachian Program at Southeast Kentucky Community and Technical College. The goal of the project was to develop a project plan for the downtown Belk Building in Harlan and create enthusiasm about downtown development in Harlan County. The project culminated in a series of community events called Let's Talk, Let's Plan, and Let's Do. This project also laid the groundwork for the SPARK community engagement events. It’s Good to be Young in the Mountains is a biannual conference/festival that celebrates Appalachian culture and gives agency to young leaders in Appalachia. IG2BYTIM includes hands-on workshops, musical performances, theater, and much more. IG2BYITM is also aware of the impact that such events can have on small businesses and downtown development. When possible, we try to partner with local restaurants, hotels, and other small businesses throughout our event. 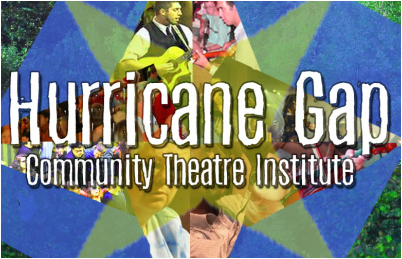 Hurricane Gap Community Theater Institute is a project created by Higher Ground and Cowan Community Theater Group. The first institute was held in the summer of 2016 at Pine Mountain Settlement School. The second institute was held the following year and added collaborations with Clear Creek Creative and Handbarrow. 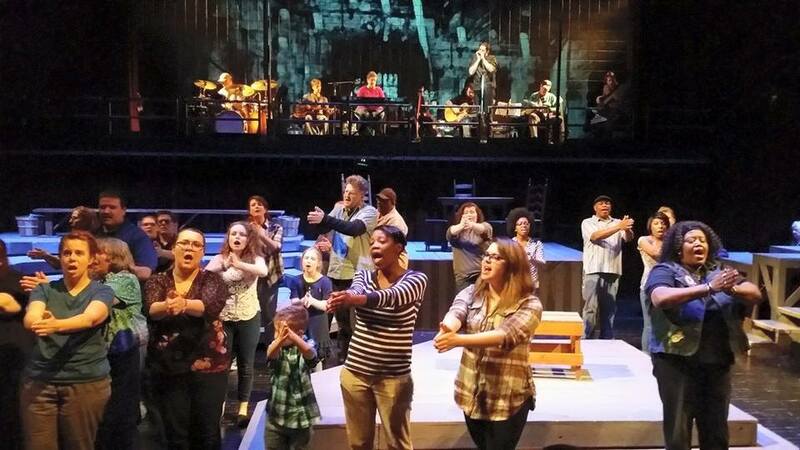 The Hurricane Gap Community Theater Institute focuses on building capacity and strengthening relationships in community theater groups in the central Appalachian region. The Higher Ground theater productions began in 2005. Like the photography and tile mosaic projects, the theater projects used oral histories to create a narrative about various issues in our region. The first play, entitled Higher Ground, focused on the flood of prescription drugs to our region. Higher Ground has created seven original plays so far. In 2003, Higher Ground began work on a large scale community art project using the SKCTC ceramic studio and local artists to design a tile mosaic. This project allowed large groups of people to collaborate and create something beautiful that tells a story about our region. Since then, Higher Ground has created mosaics in Cumberland, Pine Mountain, Evarts, Benham, and Lynch. The first projects created by Higher Ground used photography and oral histories to help Harlan Countians tell their stories. This project began in 2003 with the help of a Rockefeller PACT grant. Visiting artists worked with elementary school students, college students, and community members to document stories through photographs and audio recordings.